Psychological research proves that color is a powerful force in our lives that has a potent effect on our mind, body, and soul. While some colors are open to interpretation, certain colors have universal meanings and invoke feelings of warmth, happiness, calmness, cheerfulness, contentment, joy, glee, and pleasure. According to an article in Huffington Post, the color red can induce powerful emotions of fear, anger, and passion while the color blue has a calming effect on our mood, especially after a stressful day. Let’s take a look at the different colors schemes to set a bedroom’s mood! Choose pastel colors and lights hues of blue, green, and gray colors to decorate your room for a calming and peaceful effect. Choose the cool side of the color spectrum and avoid dark and bright shades of color. Paint your walls a light turquoise color and choose sky blue and green bed sheets to mimic the tranquility of the summer sky. Lay down white bed sheets and decorate your room with blue-green décor and rugs to transport yourself to an afternoon sunbathing by the seaside. Ditch the standard red and pink colors associated with commercial holidays like Valentine’s Day and appreciate the muted tones of dusky red, creamy white, blush pink and taupe neutrals for a new-age romantic vibe. To match the modern architecture and wooden furnishings of your bedroom, choose light, muted shades of red, pink, brown, rose-gold, and peachy-pink for a more chic and elegant look. Decorate your bedroom in various shades and tones of warm brown, beige, golden yellow, and rusty-orange. Place a huge bed by the main wall and add plush bedding and comfort for a cozy and warm vibe. Add wooden furniture for a more welcoming feel that’s much needed after a stressful and tiring day. If you’re someone who likes the minimalist design philosophy, you’ll appreciate the simple and clean line of a modern bedroom. The hallmark of a minimalist modern bedroom is limited colors and necessary furniture. A plain white bed sheet spread across a wooden bed with matching side tables and large windows with ivory curtains to keep the room smelling clean and fresh. 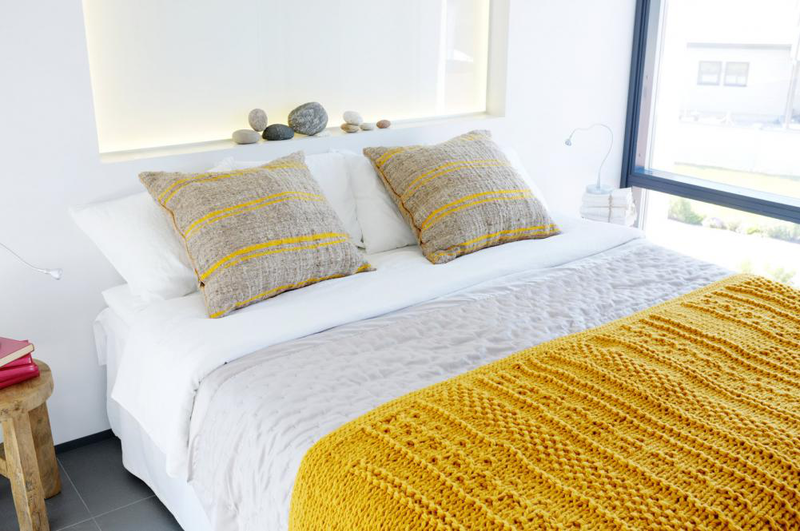 However, if you’re craving a pop of color, add yellow comforters and cushions for a cozy and lively effect. 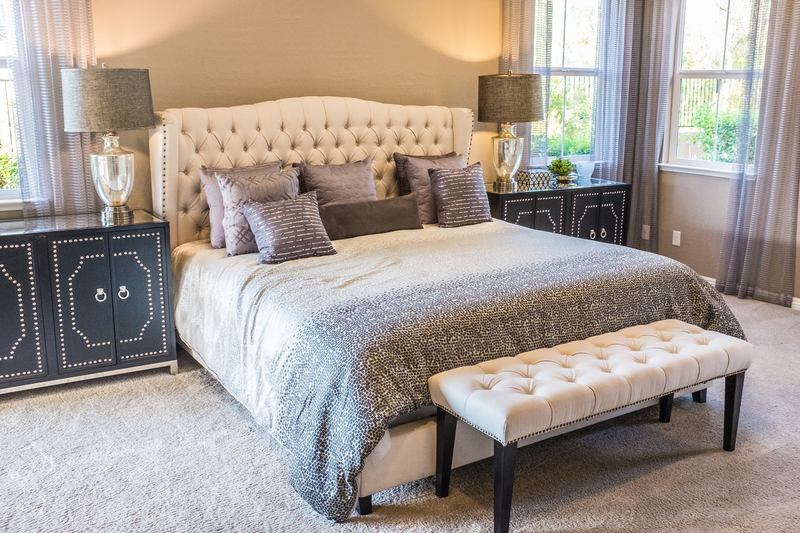 Add a sophisticated and elegant vibe to your bedroom by going with a black and white monochromatic theme. Decorate your room with white and black furniture, plain bed sheets, shaggy carpet, and add silver accents with interior décor. Before making any final decisions about your bedroom design, consult with expert designers and builders for professional remodeling services. We are a construction and home remodeling company that offers custom home building services in Shreveport. Contact us for licensed experts and trained craftsmen that also provide kitchen remodeling, custom cabinetry, and bathroom remodeling services in Minden, LA. Call us at (318) 393-7361 to turn your design dreams into reality!